An amazing couple who quit their jobs, sold most everything, to live in their truck “Goose”. Exploring the world from Arizona, USA through South America, one dirt mile at a time, sunrise to sunrise. 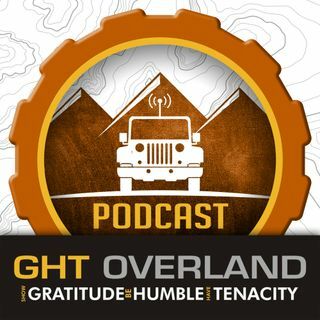 A super fun couple with impressive amounts of knowledge and experience in the off-road and overlanding industry. While at the same-time, living a full time ... See More lifestyle of overland travel. Kelsey has been teaching at Overland Expo for the last four years, while Tim has been an Overland Expo instructor since its inception. The amount of experience between Tim and Kelsey attracted us to having them on the podcast. What we found was a fun, easy to talk to couple, who were open to sharing their experiences, stories and tips, for all overlanders to enjoy and learn from. We strongly encourage you to subscribe to their YouTube channel for some of the best documented Overland Travel on Youtube, with the same level of light humor and honest thoughts on their experiences along the way.